CFR’s Director of Studies James M. Lindsay talks with experts about the foreign policy challenges facing President Donald J. Trump. Hear what issues are topping the forty-fifth president’s inbox. Michael Mandelbaum, Christian A. Herter professor emeritus of American foreign policy at Johns Hopkins University, sits down with Jim Lindsay to discuss the era of peace that directly followed the Cold War. He argues this in his most recent book, The Rise and Fall of Peace on Earth. 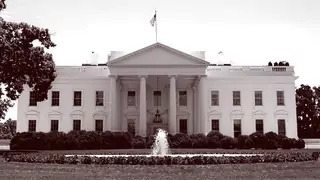 Matt Waxman, professor of law at Columbia Law School, sits down with James Lindsay to discuss presidential emergency powers and executive actions. Chris Tuttle joins James Lindsay to discuss the role that Congress plays in U.S. foreign policy. Matthias Matthijs joins Jim Lindsay to discuss Europe in 2019. Paul Stares joins Jim Lindsay to forecast the conflicts of 2019. Tom Wright joins Jim Lindsay to discuss great power rivalries and challenges to the U.S.-led international order. This week, Jim Lindsay discusses the global #MeToo movement with Rachel Vogelstein and Meighan Stone. Vogelstein is the Douglas Dillon senior fellow and director of the Women and Foreign Policy program at CFR. Previously, she was the director of policy and senior advisor in the Office of Global Women’s Issues within the U.S. State Department. Stone is a senior fellow in the Women and Foreign Policy program at CFR, focusing on women’s economic empowerment, girls’ education, and refugee policy. From 2014 to 2017, Stone was president of the Malala Fund, where she worked to empower girls globally. Stewart Patrick joins Jim Lindsay to discuss the implications of the G20 summit. Ted Alden joins Jim Lindsay to discuss trade and immigration policy after the Congressional midterms. Tom Bollyky joins Jim Lindsay to discuss the state of global health and the paradox of progress.